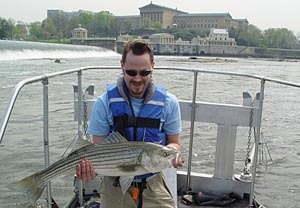 In May 2009 a new fish passage facility at the Fairmount Dam was completed, after seven years of research and construction. In honor of this event, I have created several "fish" pages for Philly H20. Thanks to Philadelphia Water Department staffers Lance H. Butler (Office of Watersheds) and Joseph A. Perillo (Bureau of Laboratory Services) for providing the images and information used on these pages. 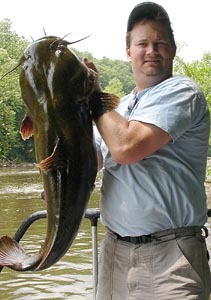 Links to other fish pages, on this site and elsewhere, are listed below. 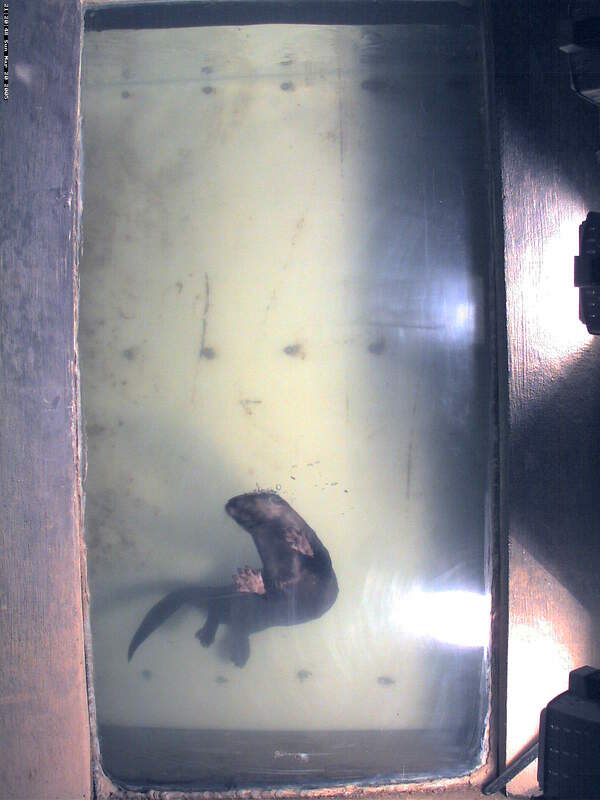 Below those links you will find background on the new fishway, as well as photos from Lance and Joe, and fascinating videos captured by the FishCam at the old fish ladder. Updated videos, photos, and other information will be posted here as they become available. Information and trailer for Hooked, a 14 minute video on Philadelphia's urban anglers. Click here for large, readable version of this interpretive sign, posted at the fishway site on the west end of the Fairmount Dam. has been historically impeded by dams and other structures, past which the fish cannot swim. By minimizing upstream fish passage to areas of spawning habitat, these structures thereby minimize successful reproduction of these species in freshwater tributaries. 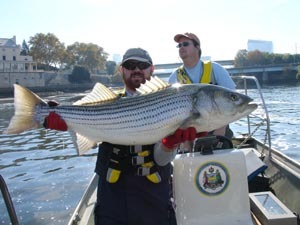 Anadromous species migrating into the Schuylkill River shared the same fate between 1821, when the Fairmount Dam was completed, and 1979, when the first fish ladder was completed on the western side of the river, across from the Fairmount Water Works. 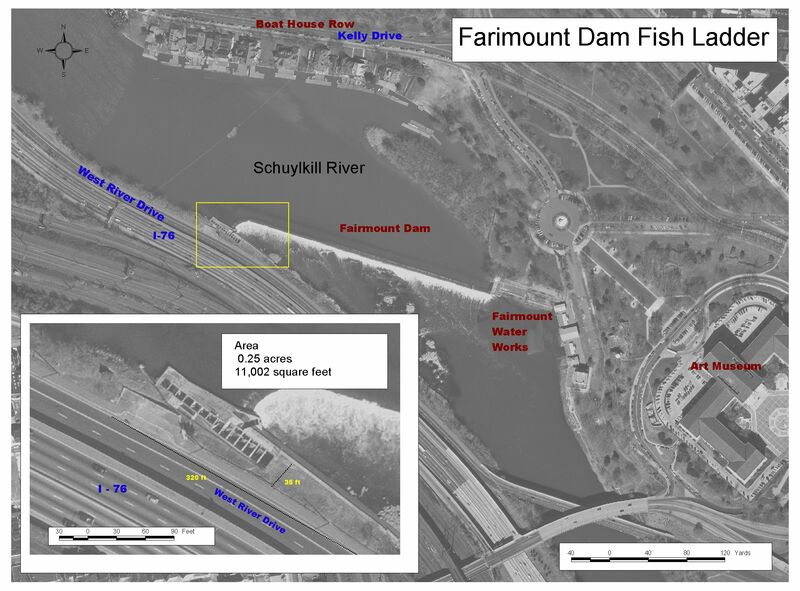 Biologists expected this link between the lower Schuylkill River and its upstream tributaries to provide additional grounds for successful reproduction, but due to design and maintenance limitations the function and efficiency of the original Fairmount Fish Ladder was questionable at best. passage efficiency by migratory and resident species. Another important aspect of the new fishway will be its amenities for onsite educational programs, which will increase public awareness and interest in the life of the river. 13.6 km (about 8 miles) upstream from the Schuylkill's confluence with the Delaware River. 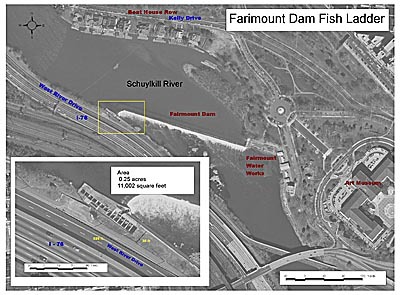 The Fairmount Dam marks the uppermost reach of the tides on the Schuylkill. The improved fish passage at Fairmount will benefit the entire freshwater ecology and economy of the Schuylkill River watershed. 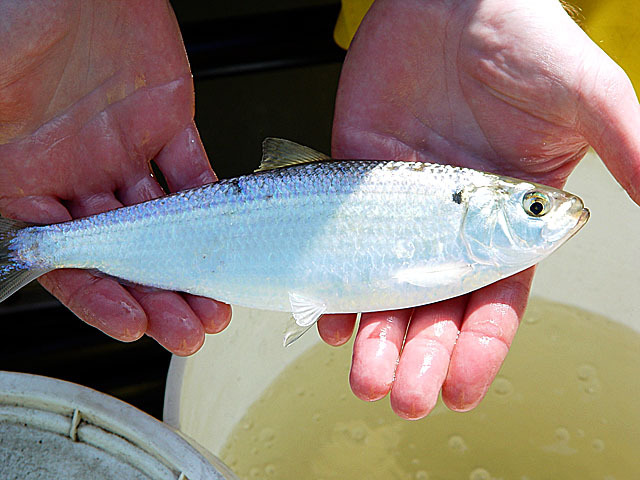 The Pennsylvania Fish and Boat Commission surveys downstream from the ladder indicate that American shad are returning to the Schuylkill in ever increasing numbers. The U.S. Fish and Wildlife Service fishway estimates that with the improvements, 200,000 to 250,000 American shad (Alosa sapidissima) per year may utilize this structure during upstream migrations. 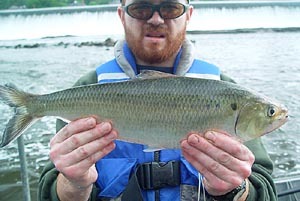 The Schuylkill, it has been estimated, has habitat to support 700,000 to 800,000 shad. River fish passage plan aims to restore fish passage from the confluence with the Delaware River to Kernsville Dam in Berne, Pa. (covering 100 river-miles) by either removing dams or building new fish passage facilities. New videos will be posted as they are provided. NOTE: Videos range up to 2 mb. 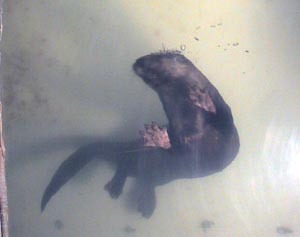 To view the FishCam on the web, click here. 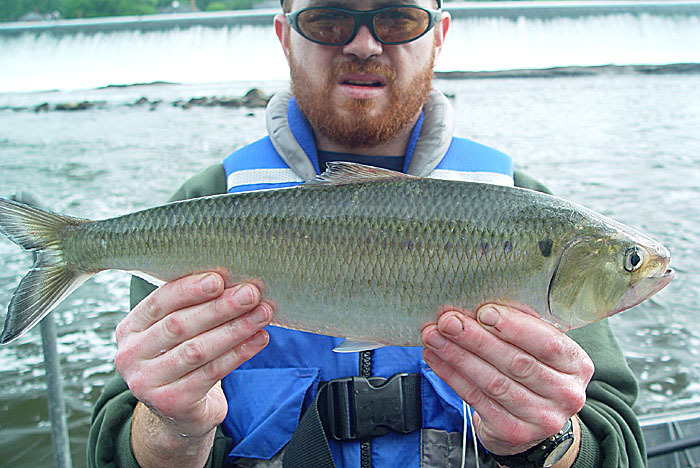 Left to Right: Joe Perillo with large striped bass; Lance Butler with an invasive flathead catfish; a river herring.